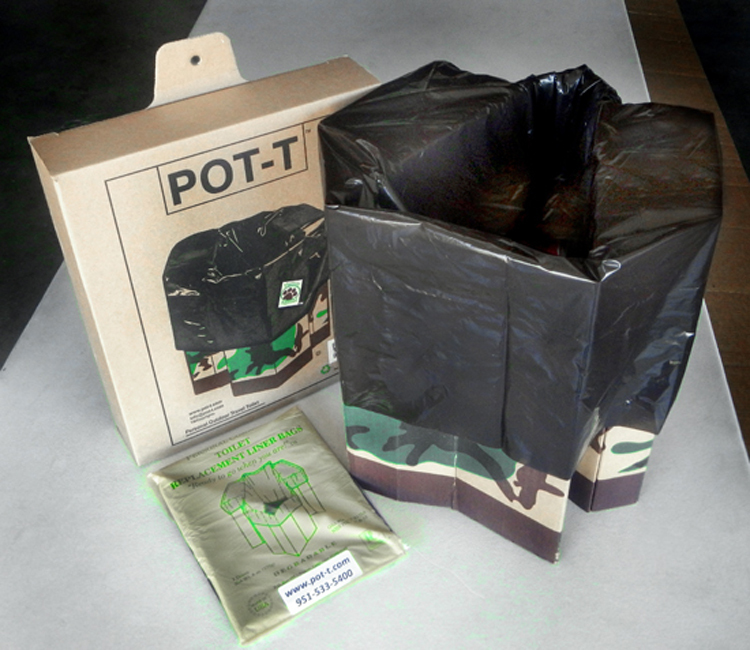 Get prepared with a portable outdoor travel toilet (POT-T). Using foldable cardboard, it can be placed on a variety of surfaces and is made with a wedge shape, allowing a comfortable seat while you answer the call of nature. Our tankless solution is designed for all sorts of situations and terrain, weighing just a pound and supporting up to 350 pounds (while seated). Made tough for the great outdoors, and a recommended item for any disaster preparedness kit. Be prepared with a portable outdoor travel toilet (POT-T). Using a rugged uni-construction, it is ergonomically designed to serve an adult or child (up to 350 pounds, while seated). 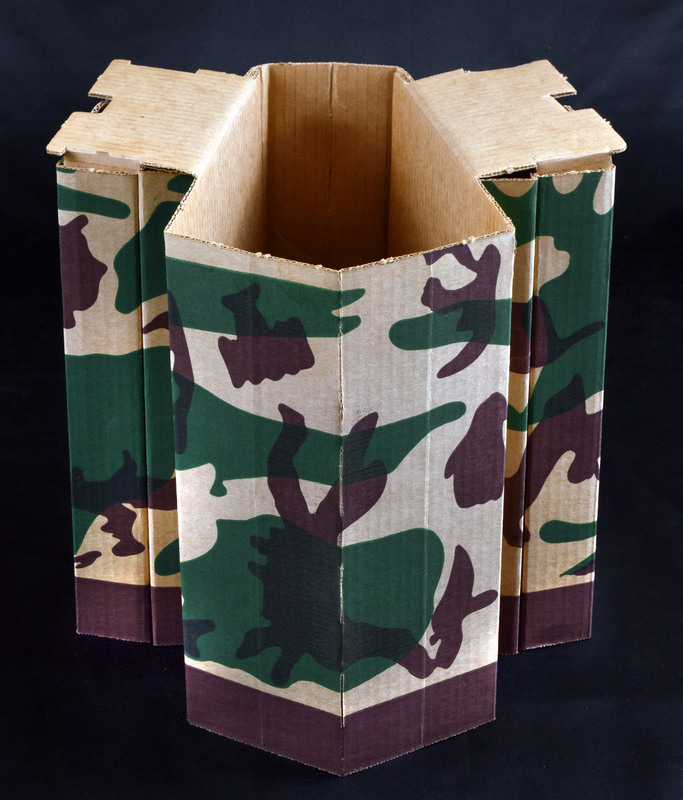 This is a 100% eco-friendly product, as it is reusable (provided it is not soiled or wet), and made of a recyclable cardboard. 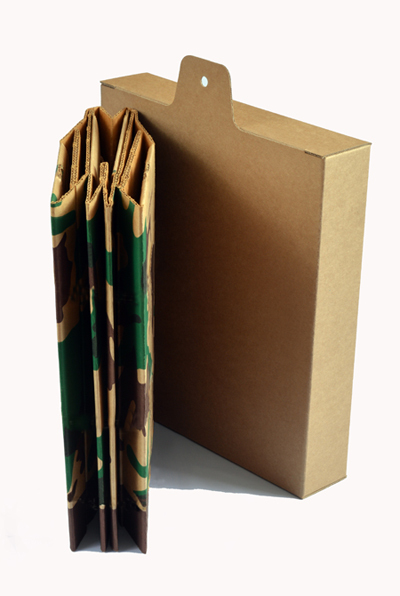 Easily pack into its cardboard shipper and attach it to your single knapsack, when going on long hikes. This tankless solution is designed for all sorts of terrain. POT-T has also proven invaluable during water and power outages, and post natural disasters, earthquakes and hurricanes. These have been used in service from the USMC Armor Brigade. 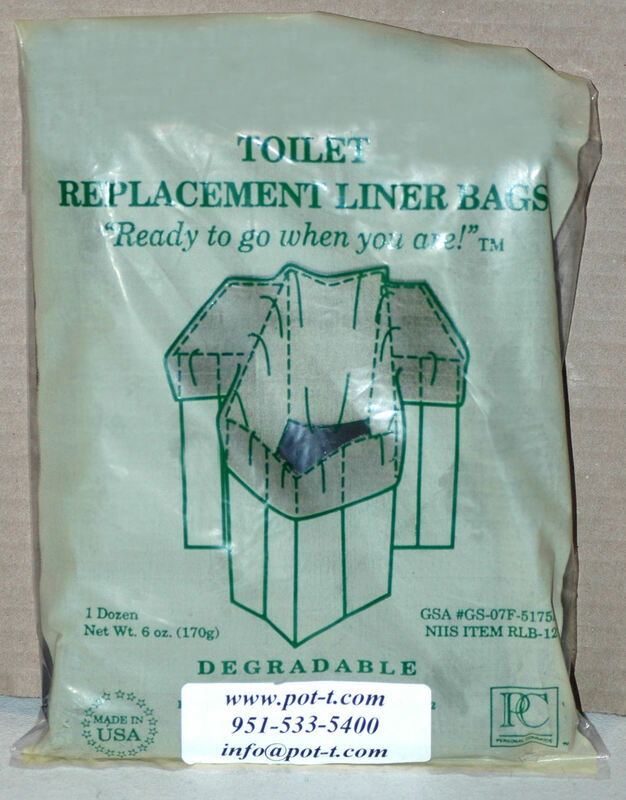 This listing includes the Portable Outdoor Travel-Toilet, and a single biodegradable liner bag.